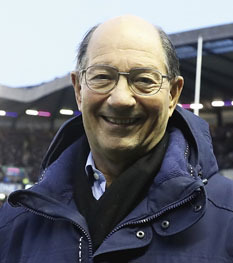 Ian Robertson has been commentating on rugby union for BBC radio since 1972 and is acknowledged as one of the outstanding sports broadcasters of the last 50 years. Regular listeners of Radio 5 Live voted his award-winning account of England’s victory in the 2003 World Cup final as one of the top three commentaries of all time. In his latest book, the former Scotland fly-half looks back on the most eventful of careers, from his first introduction to the airwaves by his inspiring mentor, Bill McLaren, to his retirement in 2018, taking in nine British and Irish Lions tours and eight World Cups along the way.